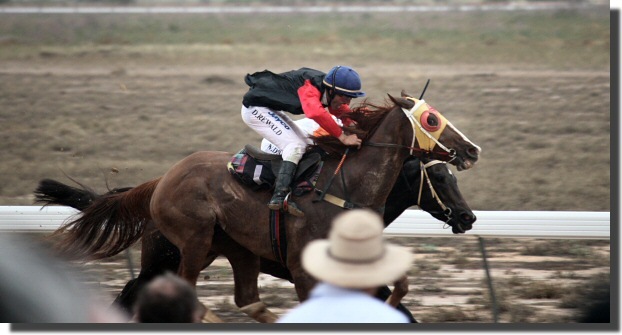 The Birdsville Races (Day 1). 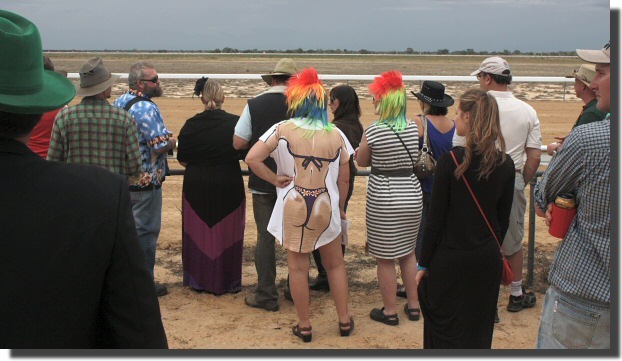 The Birdsville races are not exactly Ascot. The track is sand, the "stands" are BYO seating and the catering facilities are - er - basic. But the atmosphere is great, and being in the outback, right by the Simpson desert, at least you are almost guaranteed that there will be no rain. 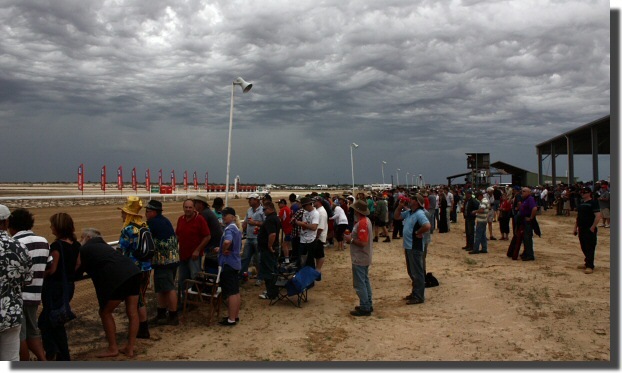 In fact the Birdsville races have not been affected by rain in the 128 years they have been run. 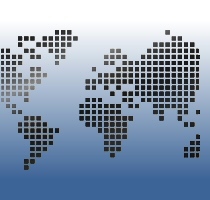 Until 2010. The dress code is relaxed. Based on an in-depth analysis of the form (i.e. at random) we selected Greenhide in the third race and placed a $10 bet. Naturally Greenhide (in the foreground) won by a short nose (or similar).